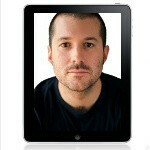 Apple's chief designer Jonathan Ive to leave the company? Jonathan Ive is the man behind the look and feel of Apple's most successful products like the iPad and the iPhone, and if there is one area in which Apple outshines its competition that would be exactly the design. But could it be that Cupertino might lose its senior VP of product design? Latest report suggests that Ive might leave Cupertino for his native England where he allegedly wants his sons to receive education. The relocation might be what put Apple's board and the designer “at loggerheads” as the company wants to keep the design process near its head quarters. Ive received an option grant two years ago at a time when Apple's stock traded relatively cheap at nearly $100. Currently, the company's shares trade for around $350, allowing the designer to cash in some $30 million. This could be a serious blow to Apple, after CEO Steve Jobs took a leave of absence. The iconic CEO might be the moving force of the company, but Ive was the person behind Apple's signature design. In recognition, Ive was named the smartest designer in tech by the Fortune magazine last July. and so begins the epic decline of apple. Why can' Ive just squeeze out the iPhone 5? I WANT IT SOOOOOO BADLY!!!!! Steve Jobs in declining health, unfortunately, hope he gets better. The lead designer leaving Apple. Apple is going to have some tough times hopefully they can pull through. Everyone needs competition. Apple is toast. Jobs is almost dead, and now the stable of talent is starting to jump ship. It is definately not a coincidence and certainly is only the beginning. Open the flood gates, it's prime time for picking off all of apples talent. Looks like they are getting peeled and about to be left with just the core lol. Bad news the biggest problem if Apple failed again the competaion going to die! I think Apple should hire the Dev team to work with them cuz if Steve jobs die and now VP of the designer is leaving the company the only experts the Dev team this just an opinion. Guess we will soon see if Apple is top heavy, or if this company has talented designers and buisnessmen throughout. I am with vvelez5, the better the competetion, the better the overall products. A weak apple really hurts the consumer. Out with the old. In with the new. Ive has done an awesome job designing Apple products. BUT, he's not the only talented designer in the world. There's always someone who's younger, with fresher ideas and concepts, and who's hungry and ambitious, and who's just waiting for the right opportunity. Ive's departure from Apple will open doors to other talented designers. And if there's anyone who can afford to employ the best in the business, it's Apple. aww i really feel bad for apple, yes they are going down the board right now and design is whats kept them up. i really like apple, the macs are the best, iphones arent at the top but there near there, and ipad is ipad. i hope the best... GET BETTER STEVE!